For Batch Three, we turned over the brewhouse to the women of Great North Aleworks for a Pink Boots Society edition of Hazy Rotation. 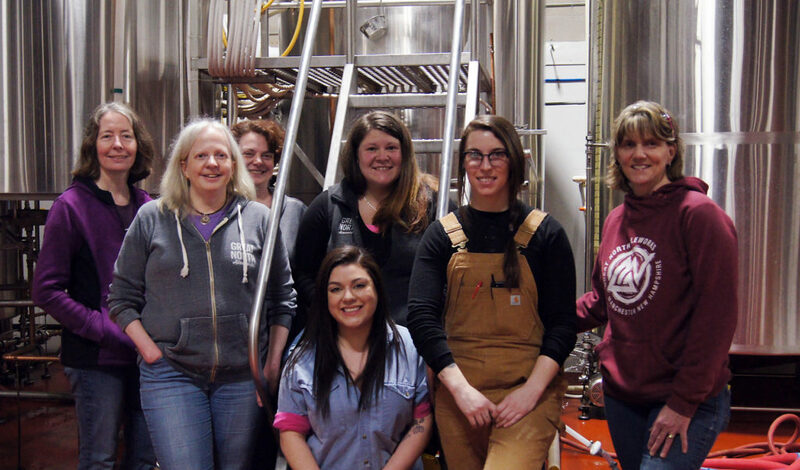 The Pink Boots Society was created to assist, inspire and encourage women beer industry professionals to advance their careers through education. 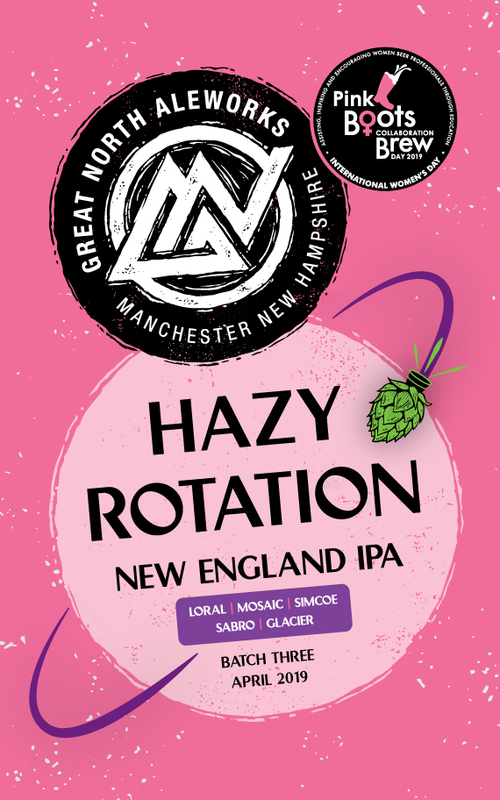 This batch of Hazy Rotation features Loral, Glacier, Mosaic, Sabro and Simcoe hops. A portion of the proceeds will benefit the National Pink Boots Society to help fund scholarships and other educational initiatives.